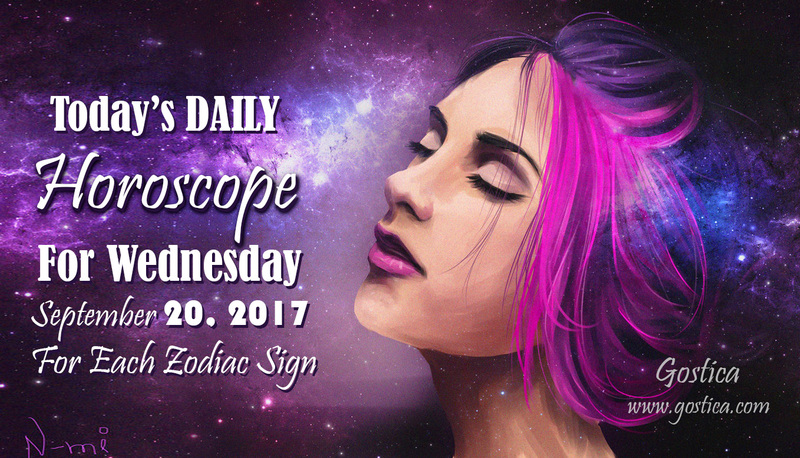 It’s Wednesday, the infamous hump day of the week, star signs, and your daily horoscope is IN! Around 1:30 AM, EST the New Moon enters in the sign of Virgo then later in the evening is Void of Course into Libra! No two signs are more complimentary in their differences than Libra and Virgo. Why? Because Libra, and it’s need for fairness and balance invites critical spirited, in the name of love, Virgo to be more kind, compassionate and caring. You have so many opportunities in this day to give space to others, to the problems of others, to solve doubts that people you love have on you but also people who do not particularly like you. It could be a really profitable day for reports. All you have to do is be honest and do not necessarily seek to please everyone. It is not possible to please everyone, therefore it will be enough to be serious or nice or just bearable, the important thing is to get acquainted with what you are! You do not need any particular presentations or recommendations when you encounter someone new that could be crucial to a change, both personal and professional, as you are pretty pensive and able to instantly appreciate it. However, in this day you have to pay attention to exaggerations, since they never go down to anyone and they do not have a great deal on those who always have to deal with cut and balanced people. The little drawbacks of this day could greatly increase your interest in the project you are carrying out and which is becoming increasingly distant. Luckily you have the desire and the way to carry it forward. Getting to the bottom will not be easy and will not be for today, but at least you will add a clue to what you are doing and that will lead you to acquire new skills and new intelligent solutions. You have many things to teach people who are close to you but that does not mean that you cannot even be learning something from them, usually that’s how it should work and what you should do. Mutual exchange is much more useful than unilateral exchange, because exchange. Having more skills or knowledge allows us to be more and more ready to face the future with maturity! You have created some doubt to a person you have known lately because you do not know how to frame yourself and how to behave yourself. It is normal that there are some misunderstandings today. What you should do is reassure them and try to silence their consciences as well as yours, especially from a sentimental point of view. Your past will be revealed at the right time and with an ad hoc speech. In the days that you may have conflicting thoughts, it is for this reason that today you will have to firmly set up a project so that you cannot go back a thousand times to modify and undo. Once you have your fingerprint, that will have to be and you will not be able to go back, too, because going back it would mean starting again, finding new allies and new opportunities that you already have! You have priorities that you cannot ignore for a long time, so it will be good to take these issues more seriously and solve them as soon as possible. You have the skills you need, method and organization. Perhaps what you miss is time but you know that you can find it with some commitment. It will all be able to get rid of these tasks before expressly requesting it.